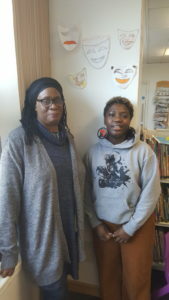 I first met Danae Wellington two years ago at a film screening in Burngreave Library that she was persuaded to review for the Messenger (see Messenger 125) so it is a pleasure to interview her about the latest project she is involved in, which will bring more cinematic experiences to the library. Danae is the founder of Nyara Collective which aims to empower young voices creatively through film, poetry and the spoken word. She is currently collaborating with Hive (the hub for 14-25 year old writers in South Yorkshire) and Cinema for All (who provide support for screening films in the community). 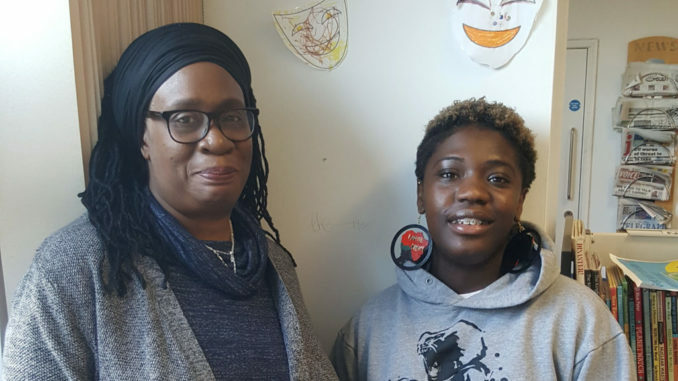 She has devised a programme of poetry and spoken word workshops for the library that begins on 2nd February (for 12-15 year olds), and three film showings during halfterm – Freedom Writers (evening of 15th February), Slam (afternoon of 21st February) and Rize (evening of 22nd February). Each film is related to the theme of creative self-expression and aimed at 14-19 year olds, though all are welcome. Entry – and popcorn! – is free. Vicky Morris from Hive and members of the library’s writing group are supporting Danae to organise the events. Erica Patterson attended some of Cinema for All’s workshops. Danae hopes to lead more workshops in the future based on her positive experiences with Hive. To book a free place call into the library or email nyaracreativecollective@gmail.com.